Sick of the same old neutral walls? 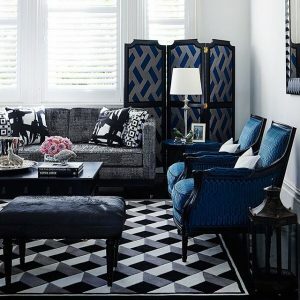 Here are some trending ideas to break the mould and add flair to your space. 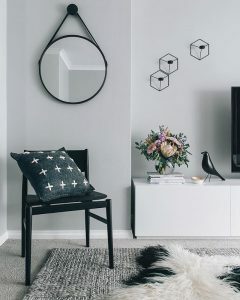 Popular with the likes of Greg Natale and Terry Kaljo, this look is becoming a designer worthy trend and works especially well in period homes. 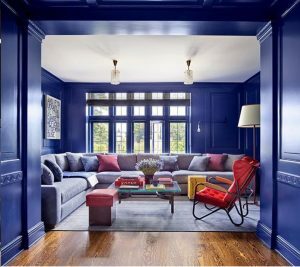 Create a contrast by pairing a deep wall colour like navy, purple, blue or green with a bright white ceiling, skirtings, architraves and/or mouldings. If you don’t quite have the courage to go for the deep dark colours or your lacking in natural light, you can achieve a lovely muted look with blue-grey paint tones. Again you want to create a contrast by painting your skirting, architraves or/and mouldings bright white. This look is more practical and can be paired with contemporary or traditional styles of décor. Add some bling to your home with a metallic feature wall. 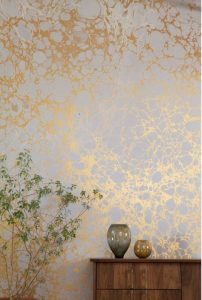 Achieve the look with wallpaper, use a textured paper for additional layers of interest. This simple removable trick can add major impact to a room without creating any permanent changes. If you’re creative you could even make this yourself and select your own fabric.